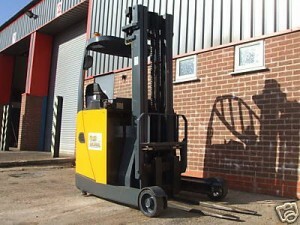 Pro-Lift deliver on-site forklift training in Liverpool to businesses of any size and type. Our qualified and experienced instructors will visit you on your premises and ensure your staff are working to HSE standards. Our instructors will use the latest methods to cover both theoretical and practical exercises; these will guide your candidates towards a thorough understanding of their responsibilities as a driver and enable them to achieve their certification. Our fork lift training in Liverpool can be tailored to any standard of driver, from novices to experienced staff who need a refresher course. The HSE recommend that people who drive a forklift have a refresher course at least once every 3-5 years, to maintain their skills. When your staff need assistance to use new equipment correctly and safely, our team can deliver excellent Familiarisation Training. They will provide instructions on how the truck should be operated and the way in which it should be used in their workplace. According to the HSE there are over 5000 accidents every year involving transportation vehicles in business premises. Pro-Lift believe that by providing the best quality training, employers can reduce incidents of accidental damage and increase productivity considerably. To find out what we can do for you and your company give us ring, we will be happy to discuss your requirements and suggest which of our courses is most appropriate.